This book is over the top and funny while commenting on the risks of our commercialism and the economic risks we are at. It’s over the top with some things, and if you start this looking for something like The Handmaid’s Tale you are going to be disappointed. 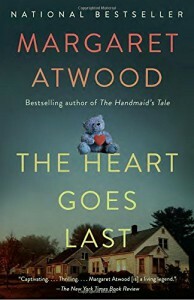 I enjoyed the humor and the characters in this book and thought the pacing was good, but I didn't realize this was a serialized novel so I also avoided any disappointment from that end.